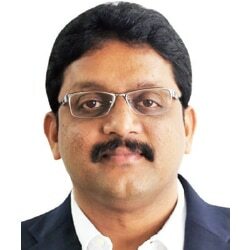 At Oi Playschool we work not just towards imparting education but imparting a lasting love for learning amongst children in a nurturing environment, says Prasannanjaneyulu Mandava, Joint Managing Director – People Combine Playschool Inititatives, in an interview with Elets News Network (ENN). What is the significance of preschool in a child’s initial years of learning? During a child’s early years, nearly 700 new neural connections are formed every single second. Ninety percent of a child’s brain development is complete in the first 2000 days after birth. A child’s early experiences are determined by the connections (wiring) formed in early childhood. It will also act as a foundation (strong or a weak) for his/her future of learning. While exposing babies and young children to a variety of experiences, it is also important to ensure that all are positive. Hence, a quality early-learning experience (at preschool) is very crucial for the better future of children. What philosophy does Oi Playschool follow to prepare global leaders? “Children are like buds in a garden and should be carefully and lovingly nurtured, as they are the future of the nation and the citizens of tomorrow,” Prime Minister Jawaharlal Nehru once said. Oi Playschool Philosophy — The roots of our preschool philosophy come from the theories of Piaget, Erikson, and Vygotsky. We try to provide our students a platform for global learning through our pedagogy balanced with rich traditional values. At Oi, we enable a child to explore the world outside their homes in safe and stimulating environment. 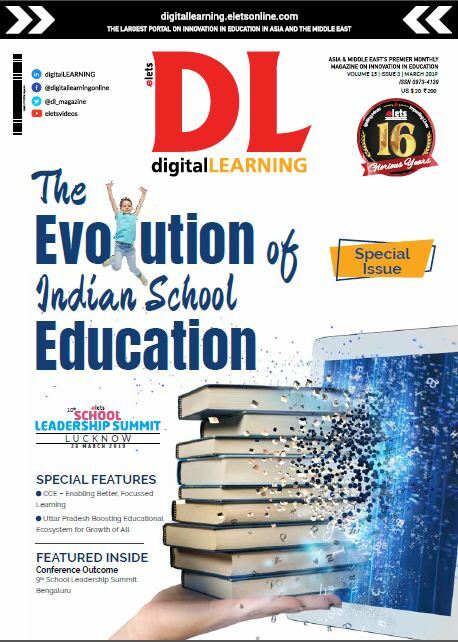 It is our duty to nurture the child socially, emotionally, physically and intellectually and to be a life-long learner. A child’s early experiences are determined by the connections (wiring) formed in early childhood. It will also act as a foundation (strong or a weak) for his/her future of learning. Infrastructure is an important parameter to provide an interesting and enabling environment at the preschool, what important aspects are being taken care of in this regard? At Oi, we ensure to create infrastructure with a blend of the three most important aspects of a preschool – aesthetically designed child space, child-friendliness and functionality. We concentrate on developing infrastructure which includes spacious, bright, colourful classrooms with open air space for outdoor play, carpeted flooring, clean, safe and sanitised environment and soft textured furniture designed, keeping safety of children in mind. 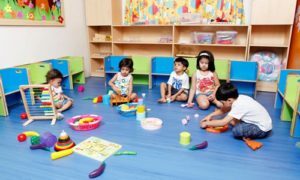 How the playschool in partnership with parents encourage independence, foster creativity, instil confidence amongst students? Parents play a major role in the development of a child, as they are one of the greatest influencers. Oi promotes ‘Parent Partnership’, encouraging them to be actively involved in the child’s learning process. Through a series of events and activities over the year, parents and children come together to cherish their learnings and make fond memories. Please describe about Oi Playschool’s initiative Eco CARE? Eco CARE is an Oi Playschool initiative that aims to give students hands on understanding of the world around them. It is implemented once a month through planned, sustainable ecoactivities that encourage students to build a lasting relationship with nature.